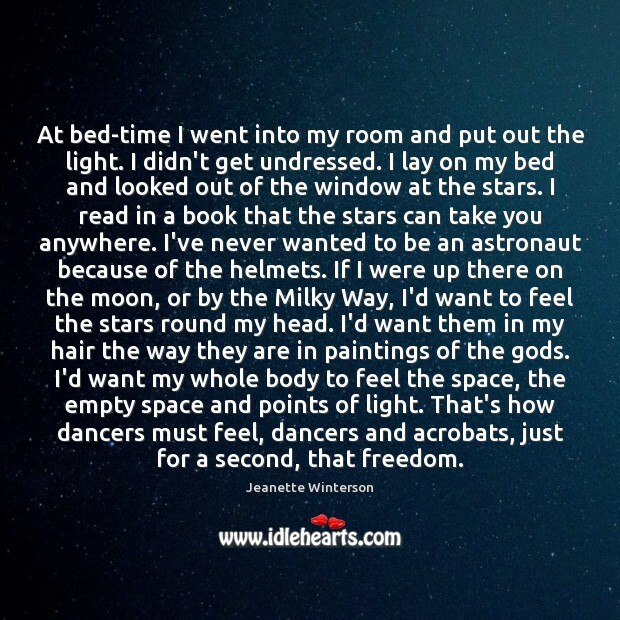 Quotations about Bed Time. Quotes to stimulate mind and drive action! Use the words and quote images to feed your brain inspiring things daily! When, as a child, I first opened my eyes on a Sunday-morning, a feeling of dismal anicipation, which began at least on the Friday,culminated. I knew what was before me, and my wish, if not my word, was "Would God it were evening!" 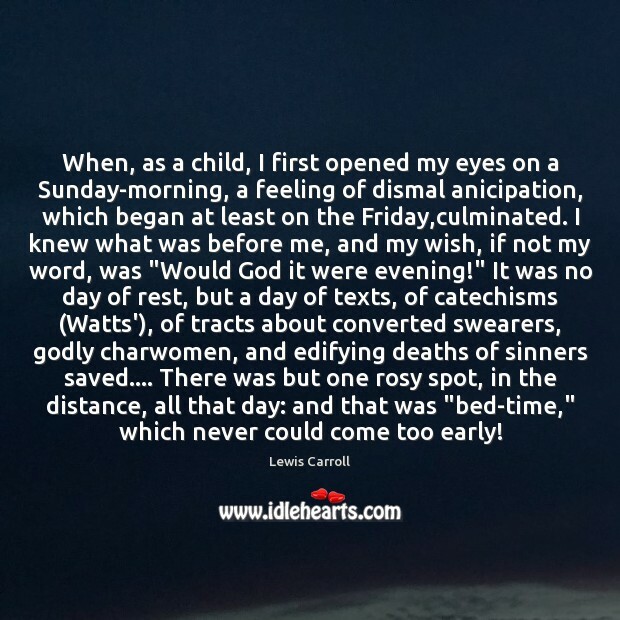 It was no day of rest, but a day of texts, of catechisms (Watts'), of tracts about converted swearers, godly charwomen, and edifying deaths of sinners saved.... There was but one rosy spot, in the distance, all that day: and that was "bed-time," which never could come too early! Time for bed.” I held my fist out. One by one, my flock stacked theirs on top, and then we headed up into the trees to sleep the sleep of the innocent. Well, okay, maybe not so innocent. 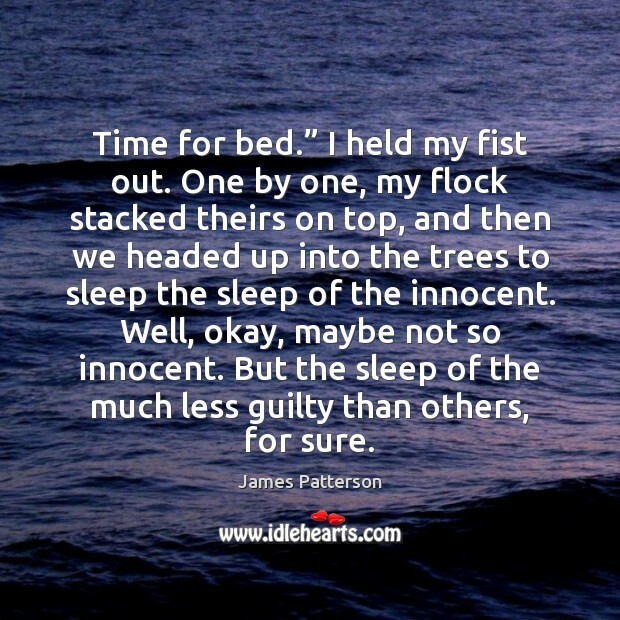 But the sleep of the much less guilty than others, for sure. 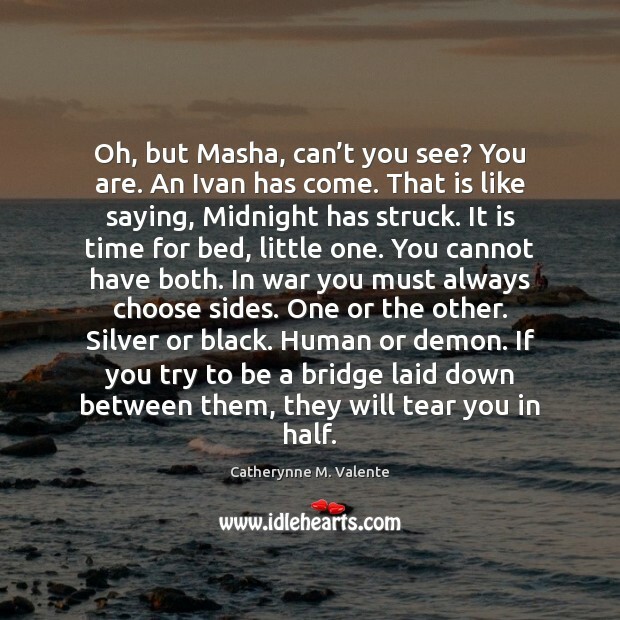 Oh, but Masha, can’t you see? You are. An Ivan has come. That is like saying, Midnight has struck. It is time for bed, little one. You cannot have both. In war you must always choose sides. One or the other. Silver or black. Human or demon. If you try to be a bridge laid down between them, they will tear you in half. 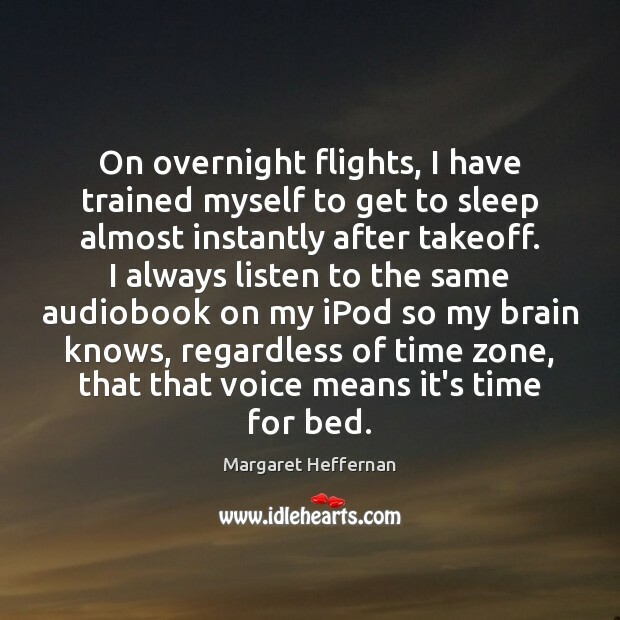 If you're going somewhere East from here, generally what you want to do is you want to try to have your bed time earlier and earlier so what we'll do is I'll have someone adjust for a week or two by going to be 15 minutes earlier and getting up 15 minutes earlier every night. So that can be a really simple thing. Tick, tock,” whispers Wiress. I guide her in front of me and get her to lie down, stroking her arm to soothe her. She drifts off, stirring restlessly, occasionally sighing out her phrase. “Tick, tock.” “Tick, tock,” I agree softly. 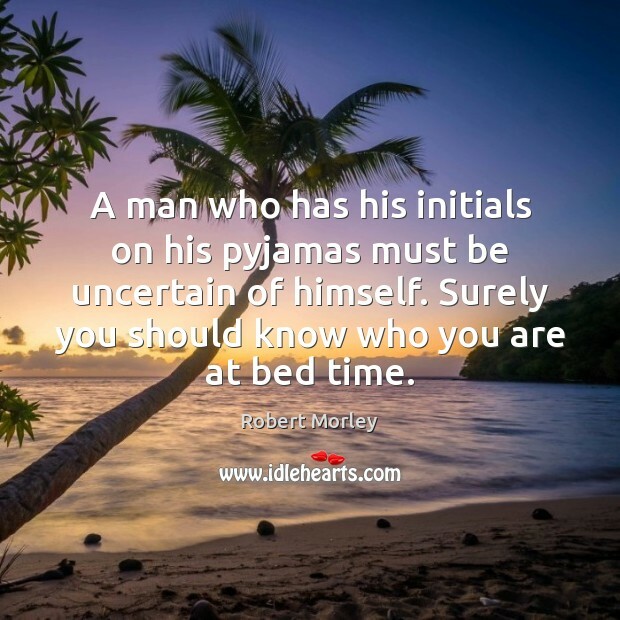 “It’s time for bed. Tick, tock. Go to sleep. 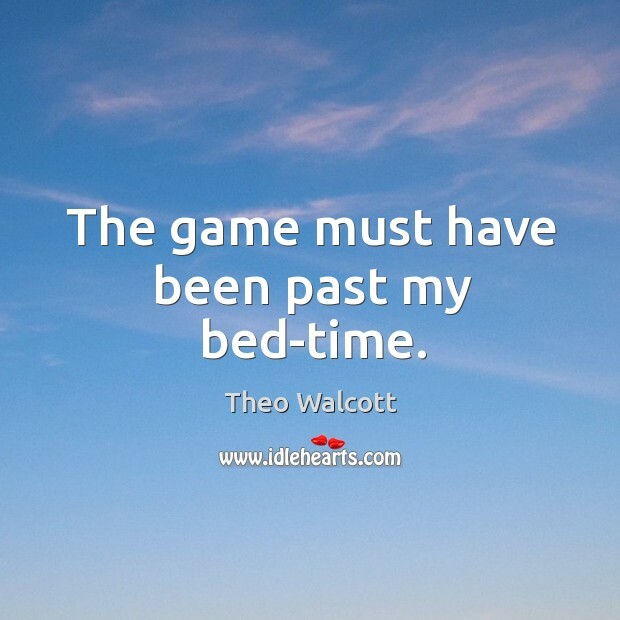 The game must have been past my bed-time. 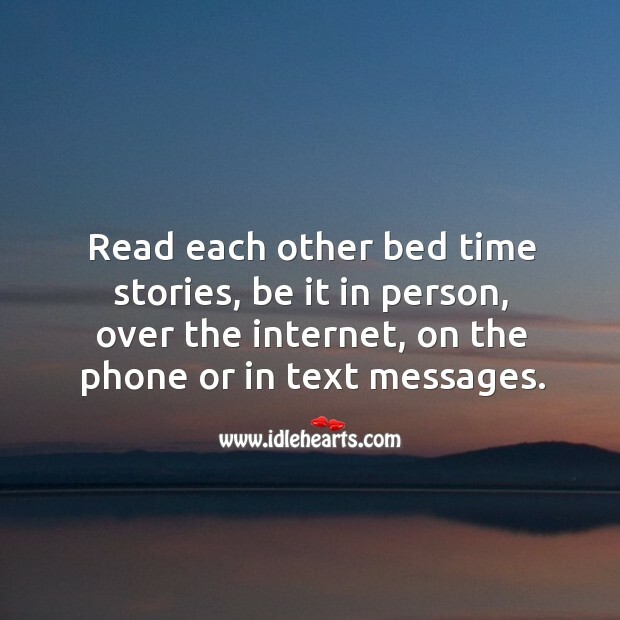 Read each other bed time stories, be it in person, over the internet, on the phone or in text messages.